Cameron Piotti, will have an on-site experience at Wallops Flight Facility in Virginia in Fall 2018. MESA, Ariz. – Sept. 25, 2018 – Ten Mesa Community College students have been selected to participate in this fall’s National Aeronautics and Space Administration (NASA) National Community College Aerospace Scholars project (NCAS). Three MCC students just completed the summer session of the three-day experience. Students from across the nation are chosen to participate through a competitive process. NCAS is an interactive online learning opportunity highlighted by a three-day experience at a NASA center. The on-site event provides students with opportunities to interact with NASA engineers and other experts as they learn more about careers in science and engineering. While at NASA, students form teams and establish fictional companies interested in Mars exploration. Each team is responsible for developing and testing a prototype rover, forming a company infrastructure, managing a budget and developing communications and outreach. MCC professor Dennis Kibbe said he was not surprised when he heard his student, Jenna Connolly, got into the NCAS program. He described her as an exemplary student who is always doing more than expected of her. Kibbe said the program is one step on the path toward a bright future. “Programs like NASA's Community College Scholarship program gives our students the confidence to follow their dreams and make the most of their talents,” Kibbe said. Connolly will travel to Ohio at the end of the September for her on-site experience. MCC student Derek McDonald went to Ames Research Center in northern California this past July. He said the rover competition, using Lego’s programmable robotics kits, was especially interesting. 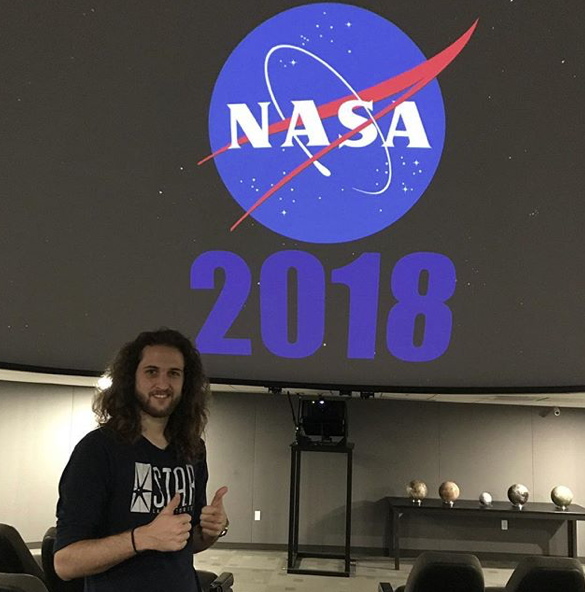 Another MCC student, Cameron Piotti, an astronomy major, will go to Wallops Flight Facility in Virginia for his on-site experience. "This opportunity means a lot to me because to me it shows that I have started to take control of my future and have started my path to NASA as well as my journey to becoming an astronomer." NCAS is a program sponsored by the NASA Minority University Research www.nasa.gov Education Program (MUREP): nasa.gov/education/murep. MCC alumnus, Patrick McGarey, (2008-2009), will be sharing his educational and career journey with current MCC students Sept. 26 at 11 a.m. in PS 101 at the Southern and Dobson Campus, prior to starting his new position in NASA’s jet propulsion lab in Pasadena, Calf.